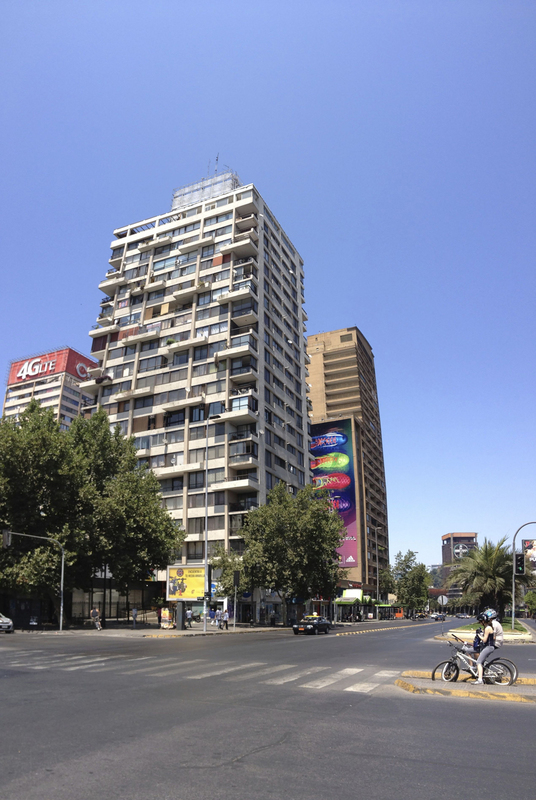 Santiago, Chile offers a great sampling of building tower textures with articulated envelopes, street-to-building and building-to-sky transitions. Each enclosure incorporates an understanding of depth in the exterior building skin and orientation through various facade treatments. Interruptions along the exterior such as operable windows, balconies, structure articulation, and entries provide an incremental measurement to the potentially scaleless mass. While a playful combination of materials and textures negotiates the performance of exterior assemblies to interior effects. This entry was posted in material, santiago by vmcreynolds. Bookmark the permalink.